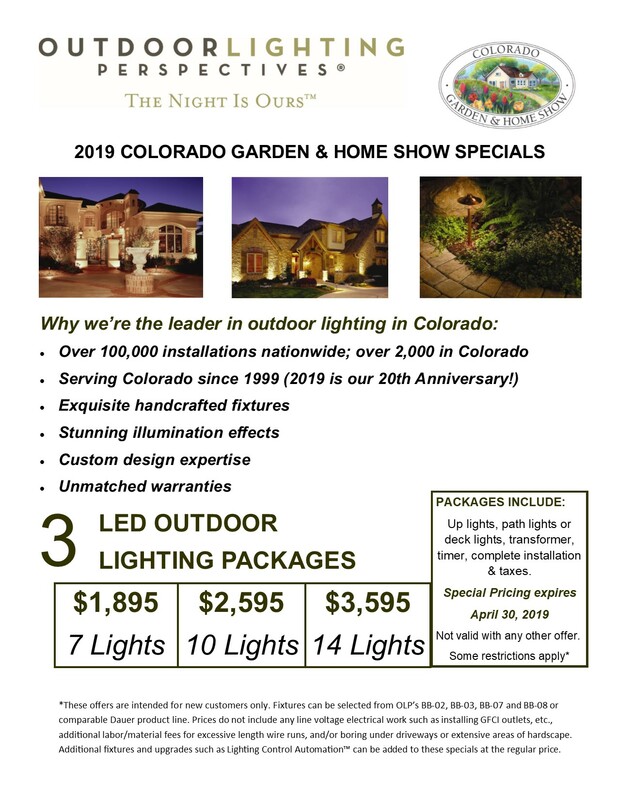 As a proud exhibitor of 20 years at the Colorado Garden and Home Show, Outdoor Lighting Perspectives of Colorado is proud to offer a special 2 for 1 discount to be used for attending the show. Please click on the 2 for 1 Discount Coupon to obtain this discount. And when you’re at the show, please stop by our Booth #1442 and say hello. 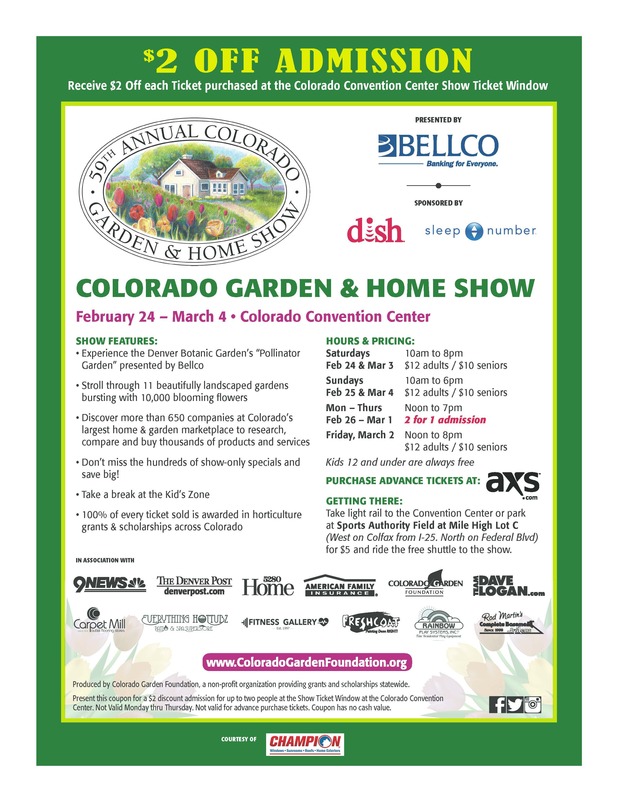 Have fun at the show – we hope to see you there. 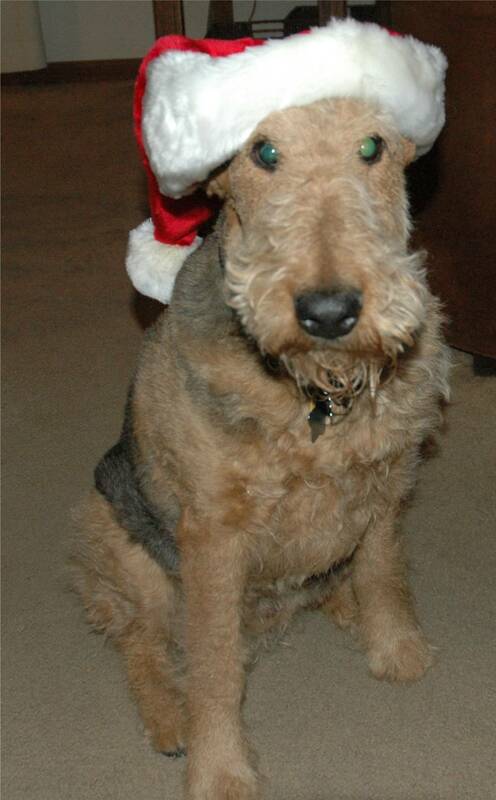 Hi – it’s Cody the Airedale here. 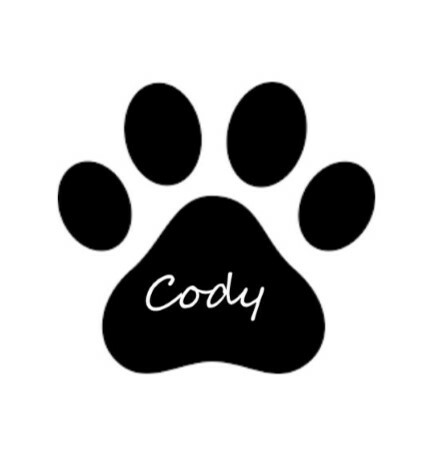 I first want to thank my human mom and dad for helping me to write this article on a topic that’s very important to me and all my other four-legged friends. That topic is a reminder to keep pet and animal safety in mind when decorating for the holidays. I live with my mom and dad in the Ken-Caryl Ranch Valley. This time of year I have many wild animal friends stop by my house including deer, elk, raccoons, rabbits, red foxes, and coyotes. I know if the electrical cords and light strings are not secured properly, that my friends can trip or become tangled up in them and hurt themselves. If you need to run electrical cords between two shrubs or trees, don’t run the cords above ground but staple them safely to the ground with sod staples. 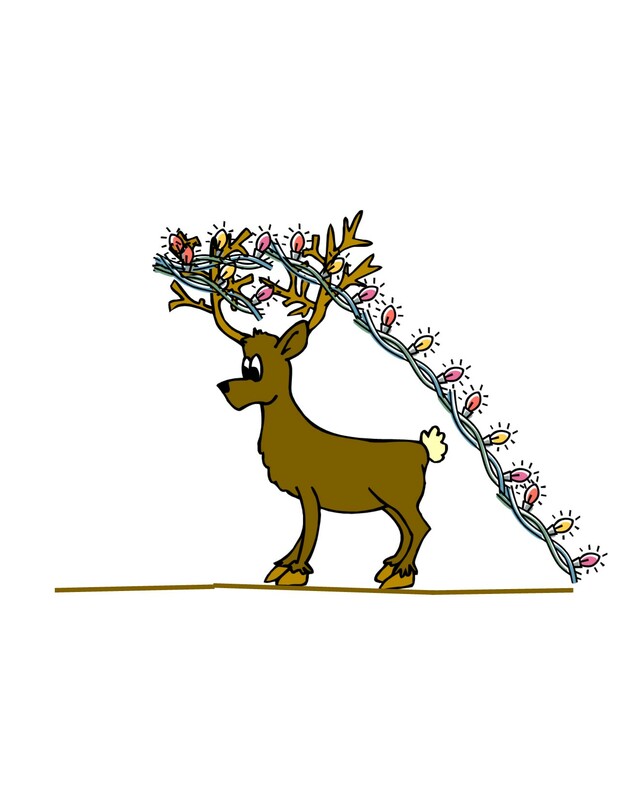 We’ve all seen and heard stories about the inquisitive deer with a plastic pumpkin stuck on his head or a string of lights tangled up in his antlers. For dogs like me and cats, interior decorations have their own potential dangers. I was born on December 19th eleven years ago, so I don’t remember too much about my first Christmas except competing with my brothers and sisters for a meal. But by the next Christmas, I sure do remember all those shiny balls on the tree that I could knock to the floor with my tail. My mom and dad quickly learned that my access to the tree should be restricted so that I wouldn’t hurt myself or damage the ornaments. I’ve been told that cats really like to climb Christmas trees and dogs also might be tempted to jump up at a tree to get a better view. For that reason, trees should be anchored securely so that they do not get knocked over. I’ve been told that cats are also attracted to the shiny tinsel, and this is a very bad thing for both cats and dogs to swallow. Also, if your family has a real tree, make sure that the reservoir containing the water does not become a water dish. Sometimes chemicals are added to help preserve the tree and over time the water can develop bacteria, so make sure that someone in the household covers the reservoir so that it is not used as a water dish. For any interior lighting or tree lighting, also make sure that the electrical cords are kept safely out of the reach of both puppies and older dogs who like to chew. The result of chewing into a live electrical cord could range between painful and deadly. Artificial and real pine needles, ribbon, bows, and even wrapping paper can become real problems if eaten, so for that reason the floors and carpets should be vacuumed frequently and the home kept tidy. Also remind your family that the following plants can be harmful to dogs and cats: poinsettias, holly, amaryllis, lilies, and mistletoe. Either decide beforehand not to have these in the home at all or keep them well out of reach of the fur kids in the family. Poinsettias can irritate the stomachs and mouths of both dogs and cats, and some lilies can cause kidney failure in cats. Also, any liquid potpourri should be kept out of the reach of both dogs and cats. Although food and drink are not part of holiday decorating, they are part of celebrating the holidays. For that reason, please be careful to keep alcoholic drinks, chocolate, grapes, raisins, currants, and fatty meat scraps away from dogs and cats. And, in Colorado and other states that have legalized marijuana, please do not allow your dogs and cats to eat any edible marijuana products. By following a few simple rules, we can all help to make the holidays safe and enjoyable for both my four-legged and human family and friends. The Holidays Are a Great Time to Sell a House – Especially If You Add a Little Lighting! Which house would you rather purchase? 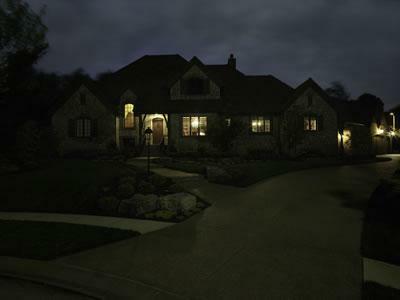 During the last 15 years, our company (Outdoor Lighting Perspectives) has illuminated many homes during the holiday and winter season because the homeowners had already listed or planned to list their home for sale. 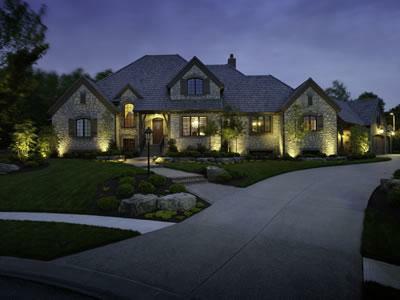 During this time of year, just about every commuter in the work force is traveling home after dark, and if they’re in the market for a new house, what better time is there to make your house stand out after dark. Companies who provide staging services and products for home sellers to enhance the interior of homes have been all the rage in recent years. 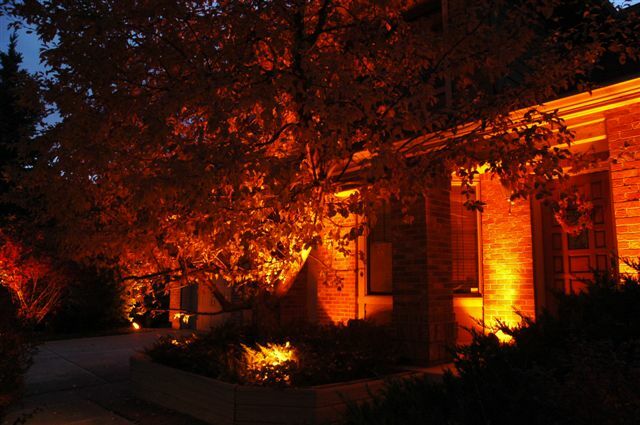 So now is definitely the time to consider exterior lighting staging services – either on a temporary or permanent basis. Lighting a home on a temporary basis is similar to the evening lighting design demonstrations that we perform. The only difference is that these lights would remain on site for several weeks or months, and that the temporary wiring, etc. would be hidden from view. The other option is to permanently install a basic design of 15 or fewer lights to enhance the primary architectural features of the house to give it curb appeal after dark. This lighting then becomes an additional feature and asset of the home, and it would also provide the new homeowner the opportunity for expanding the lighting system in the future. Lastly, adding a few strings of twinkle lights on trees and shrubs can add to the spirit of the season – and bring even more attention to the home you’re hoping to sell sooner rather than later. Orange lens covers on your landscaping lighting fixtures make it really easy to support the Denver Broncos or celebrate Halloween – and on the last week of October, you can really do both. Outdoor Lighting Perspectives manufactures special oval and circular orange acrylic lens covers that fit OLP’s above ground and flush-mounted well lights. The oval color lens covers are roughly 4-15/16″ by 6-15/16″ and are available in amber/orange, blue, green, light blue, purple, red, smoke and yellow. The circular color lens covers are 5-11/16″ outside diameter (4-15/16″ inside diameter) and are available in the same colors as the oval lenses. 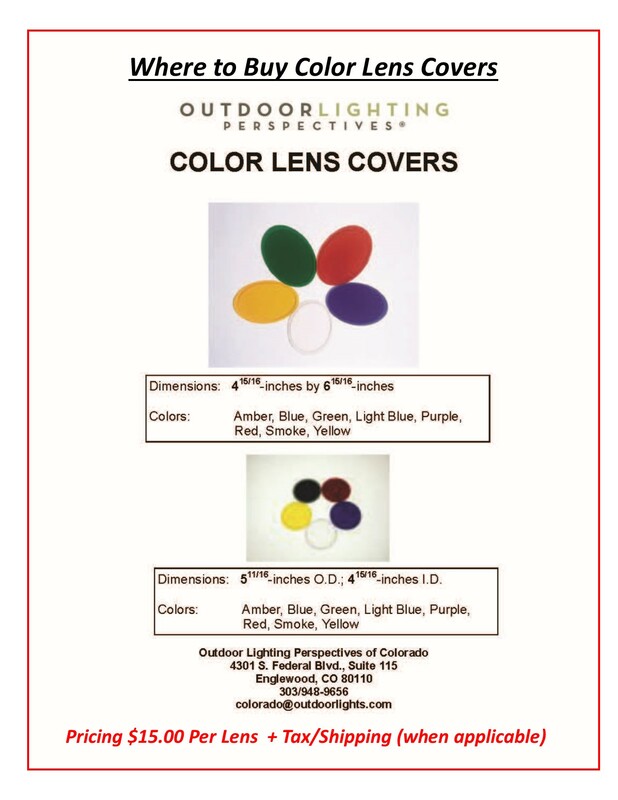 Many of our current customers who do not have well lights manufactured by Outdoor Lighting Perspectives have found that they can still use these lens covers. They’ve found that they can temporarily tape or secure the color lens covers over the well lights for a special event, holiday, or to support their favorite sports team. 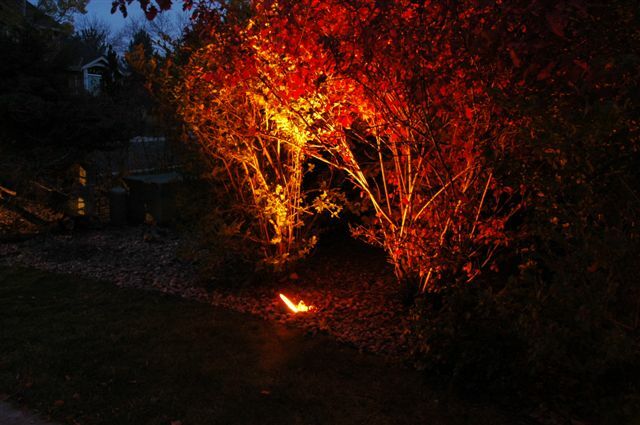 There’s certainly no easier way to decorate outdoors for the holidays than by using color lens covers on your landscape lighting system. And better yet, you won’t have to miss any touchdowns by the Broncos!